You never know when you may need to fork out for a new washing machine, a broken boiler or an unexpected expensive car bill. They often come out of the blue when you least expect it which in result can empty your bank account or end up resorting to taking out payday loans and borrowing from family and friends. This isn't a good way to live and I'm sure you would be much happier knowing you have some spare money put aside in case these sudden emergencies arise. Since having kids I have always saved some of my wages each month to transfer into my emergency fund account. The amount will vary for everyone, depending on how much you can afford to save and how much you think is a decent amount in case of such emergencies. I've been told a good amount to have is around £1000 especially incase you need to move house quickly as this will help cover the first months rent and a deposit if needed. But of course any amount saved will be a great help when needed so whether that be £100 or £500 save how much you can afford to put by. 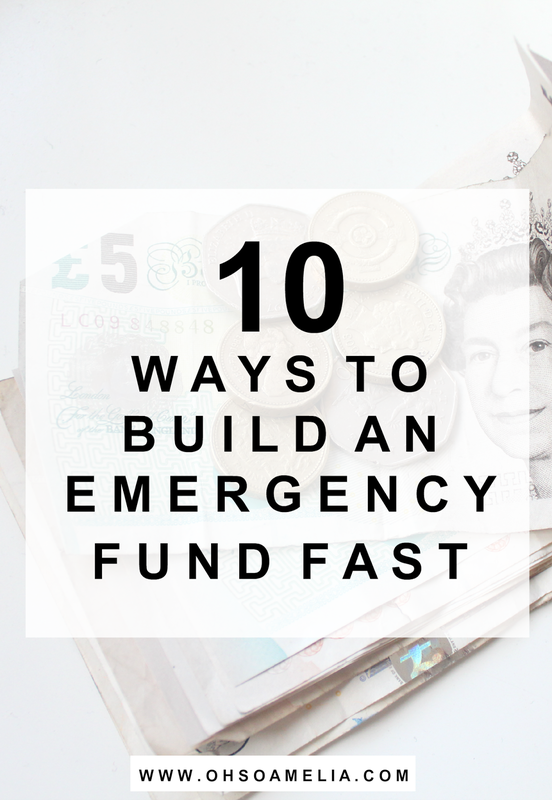 There are many ways to build up an emergency fund and today I'm sharing 10 quick ways to get you some extra cash for yours. This is an easy way to make some extra money fast especially if you haven't had a clear out in a while. Set aside a free day in the week to sort through all of your belongings. Decide on which items to keep, bin/give to charity and what you can sell. I often do this and find lots of new things I haven't used and they sell well on eBay. Also car boot sales and local Facebook selling sites always do really well and cut out the costs of posting. If you do sell on eBay and need a courier for your parcels check out My Parcel Delivery to find the best deals. I recently had a bit of a clear out on eBay and managed to make £300 on items I no longer need or have never used. Last year I reduced my car insurance, gas & electric, water and Sky bill saving me £200 a month so I put that straight into my savings pot on payday. It's worth phoning up your insurance company and see if they can offer you a better deal. Also if you're not on a water meter check whether your water supplier offers a meter and see if you're able to switch. 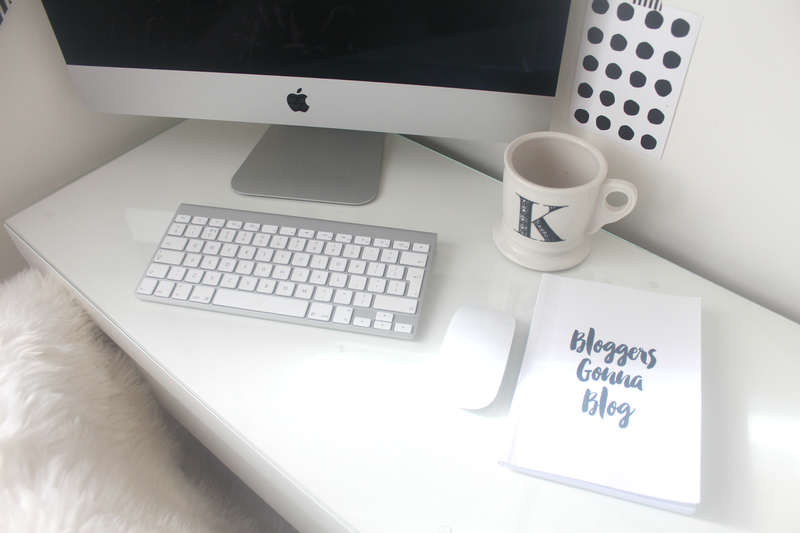 I went from paying £60 not on a meter to just £4, so that's a massive saving each month! If your lifestyle involves going out every weekend or a night in the week after work then stop! Or if you cant stop cut it down. Instead of every week how about cutting back to once a month. Typically on a night out unless you get drinks bought for you you'll tend to spend around £50 and that's not forgetting the food, pre drinks before hand and taxis. 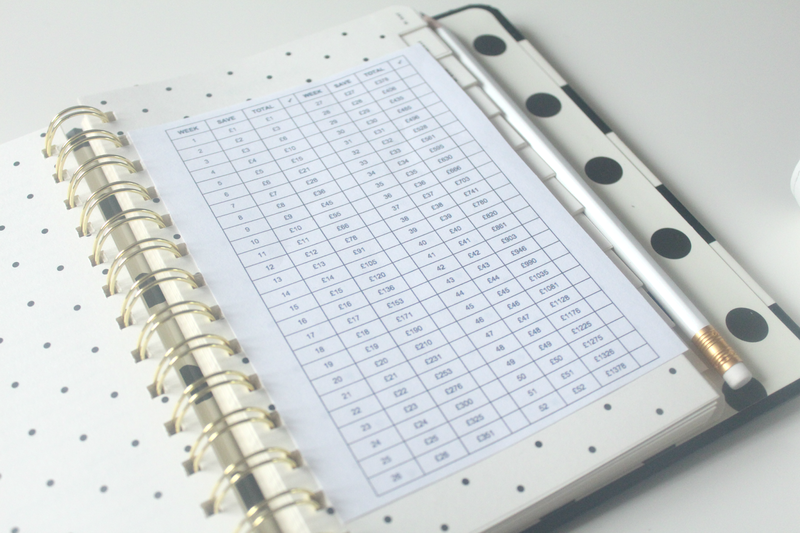 Just think how much you could save each month if you stopped going out as often. Why not invite some friends over and have a night in instead? If you work during the day you'll most likely have a lunch break at some point. Before I started working from home full time I used to buy lunch from the supermarket on the way to work costing at least £5 a day. I stopped and started making my own lunch in the mornings before work which was much cheaper and saved me money. If you buy lunch every day at £5 that's £25 a week where you could spend less than a quarter than that on fresh food in your weekly food shop for packed lunch. This was one of the harder ones for myself as at one point I was ordering 3-4 takeaways a week! I've now cut this down to just one every Saturday as a treat but I think I could cut it down to once a month if I really put my mind to it. I think I'd enjoy it even more then too! If you're a takeaway junkie like myself you may find it difficult to cut it out straight away but it is an easy way to save a lot of money each month. You may be thinking woooah what is she on about? But it's a really good way of saving money. Instead of doing your usually weekly shop pick one week in the month that you'll use up everything in the fridge/freezer and cupboards instead. Of course you may still in need to pop into the supermarket to get milk, bread and fresh fruit and veg but other than that you'll be surprised the amount of meals you can make with food items you already have at home! As a single working mum of two young children, I know just how hard it can be to find a good babysitter. I'm always seeing mums posting requests for babysitters for date nights or when they are working on local Facebook groups as many don't have family and friends who they can rely on. Unless you're a registered babysitter it can be hard to pick up work, if you do a good job for a couple of friends or families then you'll be more likely to get more work through word of mouth. How much you earn depends on your area and how long you'll be babysitting for but I know some people get paid £10-£15 an hour and sometimes even up to £20 for more children. You could also sign up to agency such as Sitters where you can find clients. If you think this is something you could do long term it may be worth getting registered and becoming a sitter to earn some regular money. A great way of earning some extra cash is mystery shopping. You can get paid to shop which often included household items, snacks, frozen food which will save you money and more often than not you'll also be paid to do the task too. Mystery shopping is great if you can get supermarket tasks as you can try out some products you wouldn't usually buy. MarketForce and GrassRoots are great companies to get started with and I'd also recommend signing up to The Mystery Dining Company. It may be not the best option if you have a full house already or a large family but if you have a spare room in your house how about renting it out? 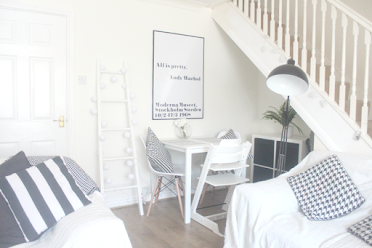 You can get a lodger in straight away by advertising on local Facebook group or Gumtree and it could be a great way to earn a couple of hundred pound or even up to £500+ extra a month. There are many other things you can rent out too, check out 10 things you can rent for extra cash for more ideas. Do you have an emergency fund? Do you have any tips to share for building one up? Thanks for sharing all these tips on saving money.